If you’re not family in the medical field, or new to the medical life, please allow me a couple minutes to share some insight on these medical conferences before I share this brilliant tidbit I unearthed while in Maui. Doc H, and others, must continue their education via Continuing Medical Education (CME) credits, hence these conferences. Here, doctors in a given specialty or group of similar specialties, will gather up to present and ponder incredibly thrilling and exciting topics, such as “Current Management of Perirectal Absess in the Non-Operative Arena” or “STAT1 Mutations in Autosomal Dominant Chronic Mucocutaneous Candidiasis" which particularly caught my interest. Yawn. The presenter presents his/her topic or paper via slide show, entertains a brief Q&A session afterwards, and so the day goes...all.day.long. Like I said- thrilling. These conferences usually take place in an incredibly lovely vacation destination with the hope to increase attendance and possibly even break into the black when all is said and done. The nicer the destination and the hotel, conference organizers know they can count on the spouses to back the conference. The annual conference becomes almost synonymous with “family vacation”. But, just as all in life, there’s irony in this. While we spouses and the kids are having the time of our lives, our husbands (or Doc wives-let’s not leave them out) are cooped up inside a meeting room- working. So, it’s not truly a “familly vacation” unless you stay a day or two extra, which isn’t much time for anyone to wind down out of work mode. Poor Doc H was already feeling overworked and overwhelmed by the end of Day 1 and commented how his is ready for a “real” vacation for himself. Being the super-supportive wife I always strive to be, I whole-heartedly agreed. We should indeed book a “real vacation” as soon as we return home. No arguments from me! But, let’s face it, we could never or perhaps, would never book such an extravagant vacation for ourselves and the kids. Had we paid regular retail for this vacation, it would have cost us thousands in hotel fees alone. Instead, because he helped with conference planning, presented a talk, and moderated a session, Doc H’s airline ticket was expensed, the hotel room was free for three nights and the extra nights were highly discounted. My ticket was purchased with points. Yeah...this type of vacation isn’t going to happen for Doc H without a conference involved....Poor Doc H...the guy always has to work! My ears, spine, and hair on the back of my neck all stood up at once, I tell you! 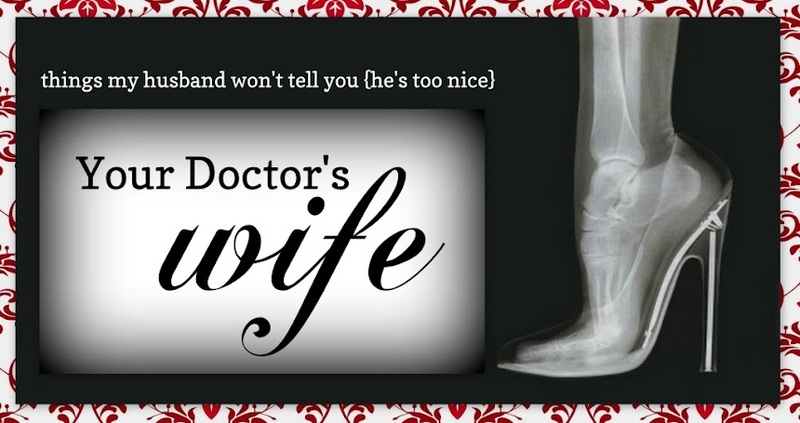 Dr.Doc: Of course, Sweetie! You know what me and my Doc Hubby used to do? Dr. Doc: One of us would sign up for a conference we had no interest in attending, such as pediatrics or something, sign up for the conference, and take advantage of the fabulous room rates! Me: (pulling my jaw up out of the sand) REALLY?! Dr. Doc: Oh, you should totally do it. Your Doc H works so hard. He deserves a wonderful vacation with the kids with no work! As soon as I get home I’m researching pediatric conferences around the globe. Love the new blog layout! Also - way to game the system! I vote you should go for it! Oooh, this is excellent advice for later! I have made a mental note! I was going to suggest using points for vacation, and I see you're one step ahead of me! :) Seriously...doctors work so hard. It would be nice if they got thrown a bone sometimes. P.S.- I LOVE your new blog design! It's gorgeous! good for you! I hope this works out and you can have a family vacation!! The Blonde Experiment: Who Won The Bet?